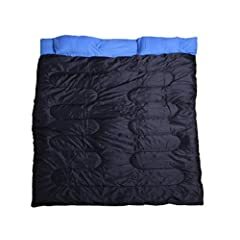 Large king size sleeping bags so you have room to move with a warm and have comfortable rest when in the outdoors, ready to tackle your next days adventure. 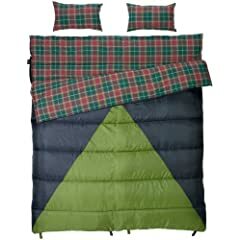 Some styles on this page are double sleeping bags, some king size and others are designed to zip two sleeping bags together but regardless they all are larger than the normal bag. 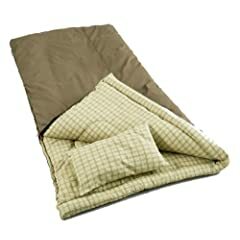 There are styles for both warm and cold weather camping so there is sure to be one that meets your needs. 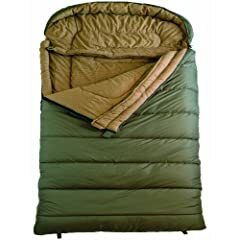 Like many people I also want to have some room to warm up my clothes before putting them while the temperature is a bit cooler and a king size sleeping bag does that. While some of these are large enough for two adults. Some of these extra large sleeping bags are rated for mildly cold weather while others are for extreme conditions. 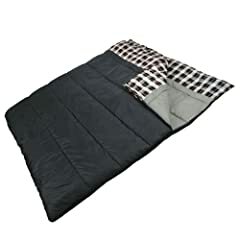 In either case you will be kept nice and warm as there is nothing more miserable than freezing while trying to get a good night’s sleep.